It seemed then that Spokane was on the brink of something good. We’d turned a critical corner, and the momentum appeared to be in our favor. Urban lofts and condos were popping up everywhere, and it seemed like just about every developer had his hands in some sort of downtown development project. 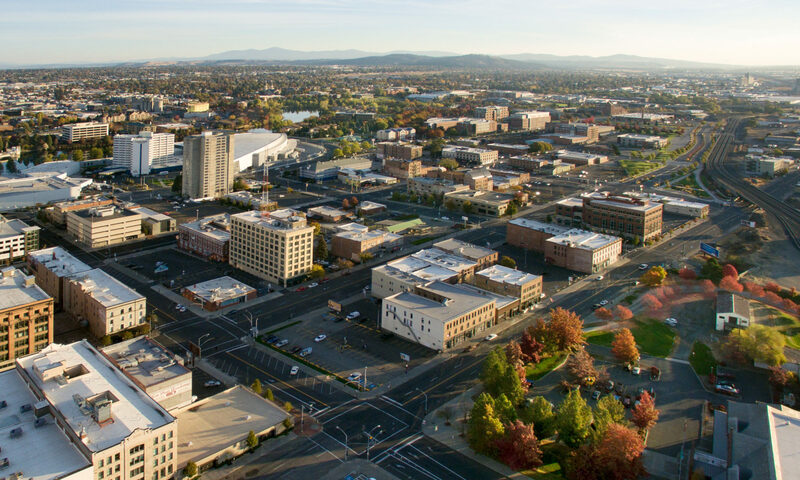 The City of Spokane Valley was working on a plan to develop a City Center and true urban core. Rob Brewster, a development superstar of sorts, unveiled the VOX Tower, what would have been the tallest building in Spokane. But it was not to be, of course. The world of 2006 is worlds away from 2014, as the subprime mortgage bubble and the subsequent “Great Recession” have cancelled projects and reshaped priorities. Cities and towns nationwide are still clamoring for development dollars–even at the cost of true urban-oriented design meant to revitalize towns and increase livability. Spokane, to be sure, has not escaped the same fate. We haven’t yet developed the North Bank. Kendall Yards has been downsized and extensively redesigned. Spokane Valley still looks like a used car lot, and in case you haven’t noticed, there is no VOX Tower. But 2013 was marked by economic expansion and some serious wins for the area. In April, voters decided to fund the next phase of the Spokane Convention Center, and in October, ground was broken on a Walt Worthy-funded, 700-room Convention Center Hotel. All indications are that this development will inspire a fresh wave of downtown redevelopment projects. Already the Bennett Block and the former Huppin’s building are underway. #spokanerising is a tribute to this latest wave of revitalization and growth. Through various mediums and methods, we’ll cover where we were, where we are now, and where we hope to be in the future. The hope is to combat the negative attitudes that many have in our city. Because it’s our Spokane, and we intend to make it a better place.